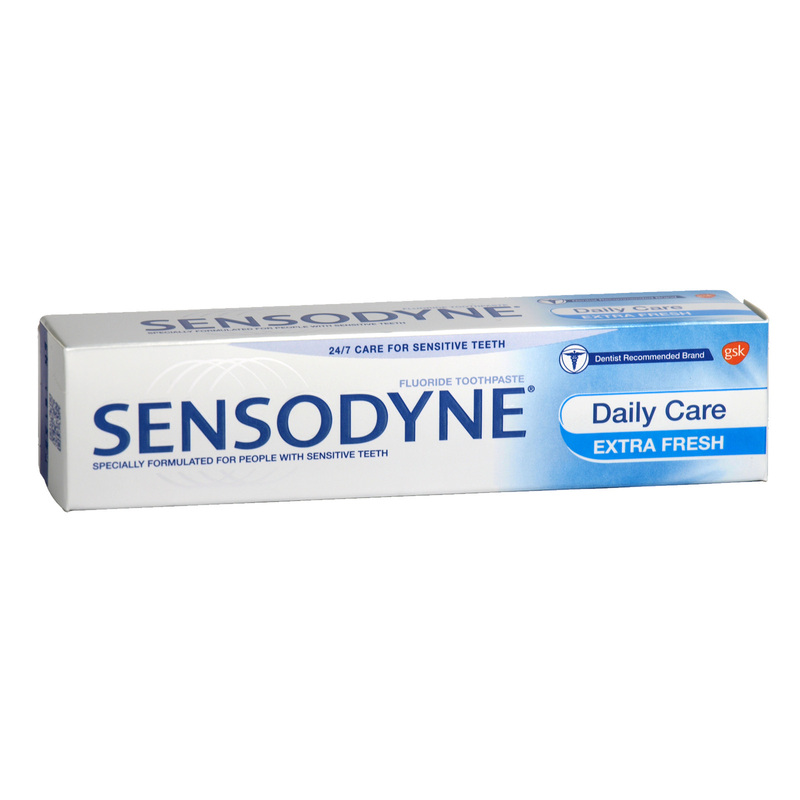 Sensodyne Extra Fresh toothpaste has been specially formulated for people with sensitive teeth. It provides the benefits of a regular toothpaste and the gel stripe gives an extra burst of freshness. With twice daily brushing, Sensodyne Extra Fresh helps strengthen teeth, protects against tooth decay and promotes gum health.